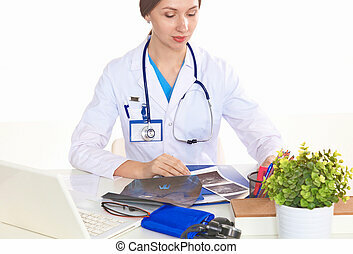 A nurse is stand against the patient's background. she holds a paper tablet in her hands. 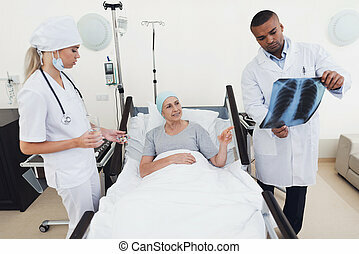 a woman is treated with cancer. 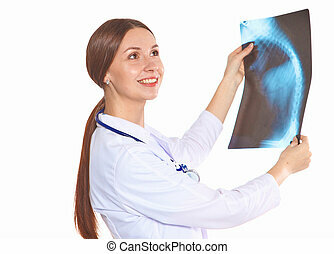 he looks at the x-ray of the patient. 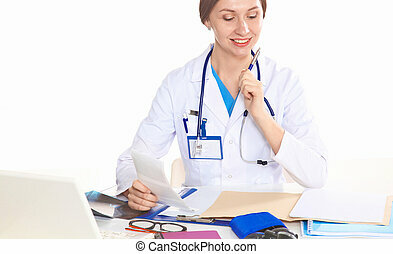 A Nurse Is Stand Against The Patient's Background. She Holds A Paper Tablet In Her Hands. 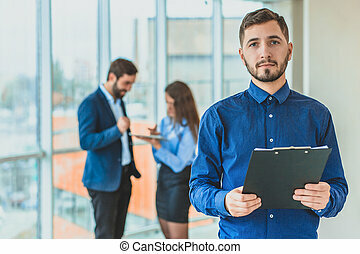 A businessman is standing in the office holding a folder in his hands. 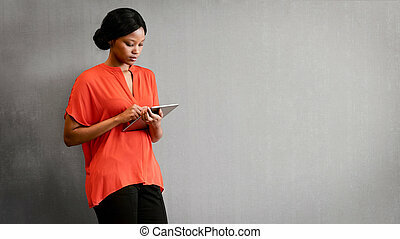 Young black businesswoman busy using the digital tablet that she is holding in her hands to conduct business remotely making use of the internet. 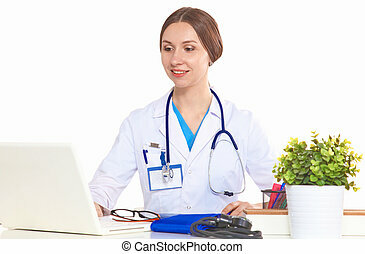 Beautiful general practitioner is working with joy. She is standing with a folder of documents in her hand. 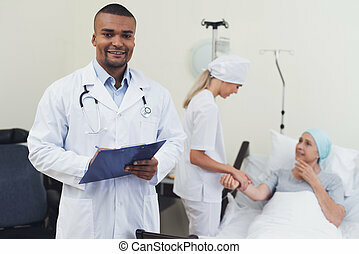 A nurse is stand against the patient's background. She holds a tablet in her hands. 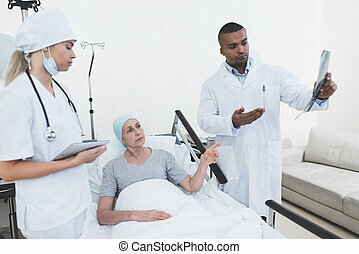 A woman is treated with cancer. 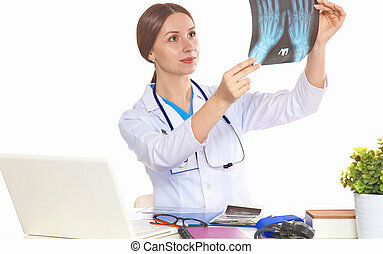 He looks at the X-ray of the patient. 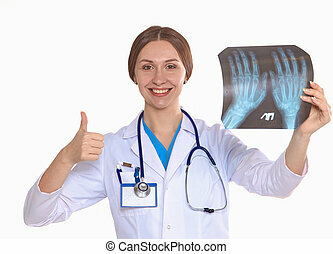 A nurse is posing against the patient's background. She holds a paper tablet in her hands. 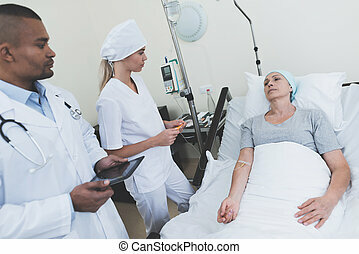 A woman is treated with cancer. 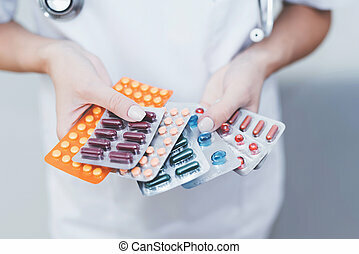 Nearby is a doctor who gives a woman a pill. 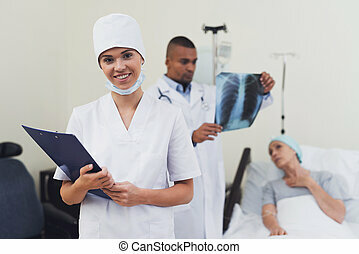 A nurse is posing against the patient's background. She holds a paper tablet in her hands. 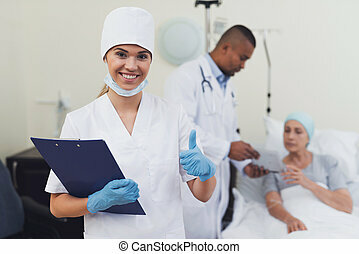 A woman is treated with cancer. 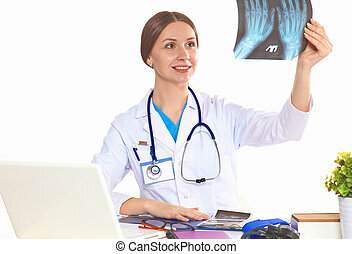 He looks at the X-ray of the patient. 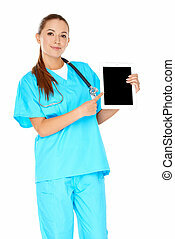 A nurse is stand against the patient's background. 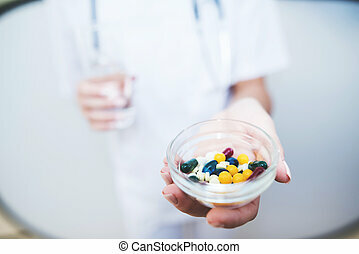 She holds a pill and a glass of water in her hands. A woman is treated with cancer. 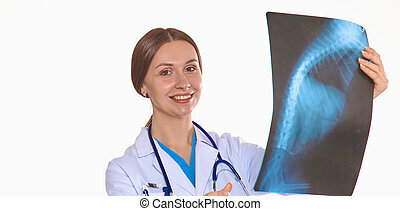 He looks at the X-ray of the patient. 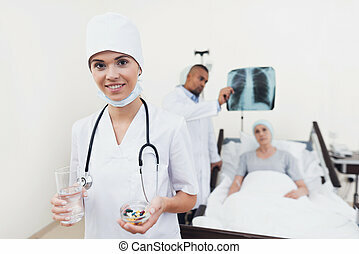 A nurse is posing against the patient's background. 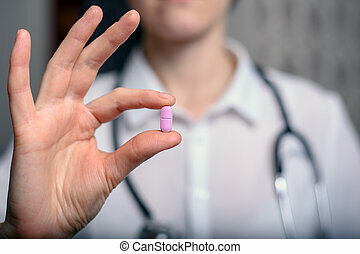 She holds a pill and a glass of water in her hands. A woman is treated with cancer. 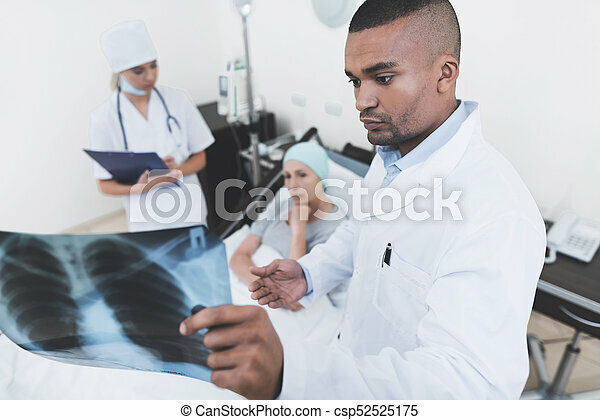 He looks at the X-ray of the patient. 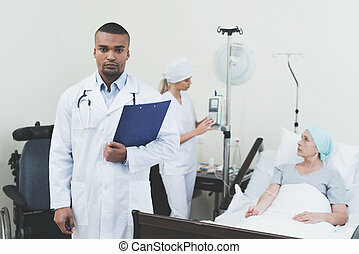 Doctor posing against the background of the patient. 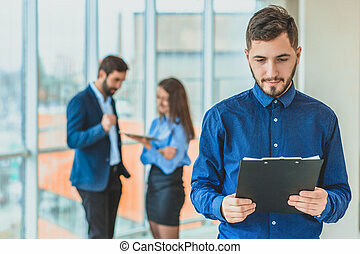 He holds a paper tablet in his hands. A woman is treated with cancer. Nearby there is a nurse who measures a woman's pulse. 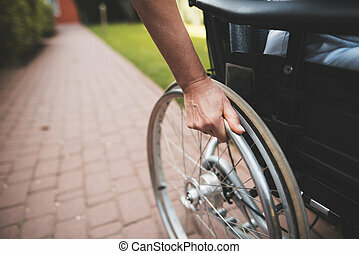 A woman with cancer is sitting in a wheelchair. 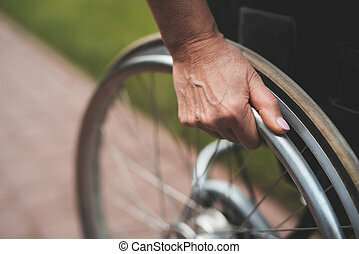 She holds her hands behind the wheels of the wheelchair on which she sits. 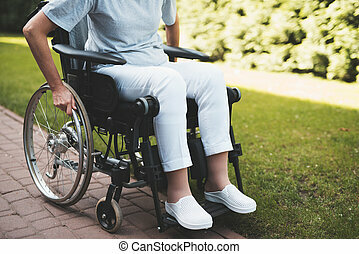 She is in the courtyard of a modern clinic. 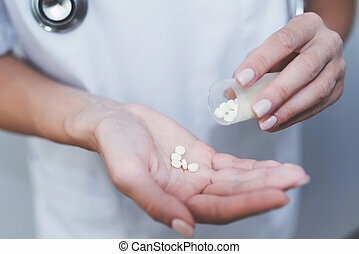 A nurse is holding various pills in her hands. She is eating them in her hands. A close-up shot. 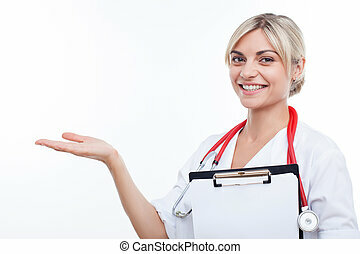 A nurse in a white coat. 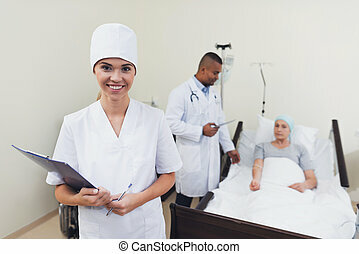 The doctor and nurse stand in the ward with a woman who is sick with cancer. They put her a dropper. They are in a modern medical clinic.